There is beauty in movement. i went to watch the ballet, when it came to town. This is not usually my thing, but i went a long anyway to see what it was like. I was blown away, such power and grace, even though it was only the young and inexperienced performers of our national ballet, they were still simply amazing. Beautiful as they danced. There performances transformed them and captivated the audience. Because what struck me most, from my front row seat, is that when they were'nt moving, they were'nt beautiful. The lead ballerina who looked like a lithe fairy as she danced across stage, was plain featured and gawky when she wasn't moving. The lead male dancer, short and stocky, looked anything but, as he did the most amazing leaps and bounds high into the air. It was the way they moved that made them beautiful, graceful, athletic, and captivated the audience. Having returned from a horse show on the weekend, the long drive home gave me time to think, and i came to the conclusion that the same is true of horses. Not every horse is beautiful, yet to see a horse jump around of show jumps, dance through a dressage test, they become majestic graceful and powerful. Just like human dancer the way they move and how the hold themselves is what can captivate the audience. when i worked in a dressage stable, i was lucky enough to see horses come in as plain as plain could be, some had conformation flaws, were fat, some were not even particularly athletic. yet i watched them through their training become more and more beautiful. Correct work developed muscles that hid most flaws in build, as they changed they way they moved, they looked more athletic, there head carriage changed them from plain to proud looking. By the time they got to Grand prix, you would watch them go around the arena and they would look every inch the super star. The guy i worked for had a real knack for turning something ordinary into the extrodinary. As soon as they were back standing in the stable, the transformation ended, they would go back to normal looking horses. i watched horses jumping this weekend, galloping around the cross country course, you would see a horse, and be blown away by it sheer power and agility. Yet seeing the same horse in the stable area, it wouldn't look any different to the horse next to it. There was even a Kaimanawa crossbred, competing in the same class as me. it was a small nimble little thing, yet looked, athletic and handsome as any other horse to see it out jumping. I find the same with my own horses. The wild stallion looks like a small brown pony, quite unremarkable, to see him standing in the barn. Yet today when i finally got around to working him, (for the first time in weeks) he looked anything but plain. He grows about two inches as he trots around, his movement making him looked poised and powerful, and his head carriage and that long flowing mane give him the proud look of a stallion. I'm not the only one to notice this, family and friends who have all rolled their eyes at my 'wild project pony' have changed opinions once they have seen him move. Not that his movement is that amazing, just his over all presence changes while hes in action. He is beautiful in movement. Not just humans and horses, but even my lovable and timid Lucy,the dog pound dog, becomes beautiful to see her in action, running and leaping across the paddock. Movement transforms the the ordinary into something more magical. Look at the gymnasts you see at the Olympics, the runners, the dressage horses, the eventers, dancers, and athletes of all kinds. 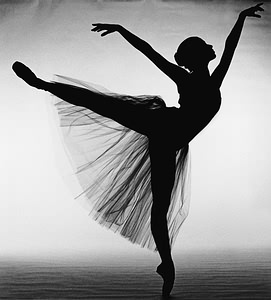 There is beauty in what you do, and something beautiful in seeing anybody move with power poise and grace. Not all of us are lucky enough to be born looking like supermodels, but we can all strive to do something beautifully. Trust me those horses and riders that are jaw droppingly beautiful to watch dance round the arena, are just like you and me the rest of the time. The most beautiful picture I have of my gelding is when he is moving - I snapped a tonne of pictures of him and I got one of him cantering around the paddock in the summer rain and he looks magnificent. I personally think he is beautiful all of the time and the transformation he has made in the last 6 months is unbelievable. 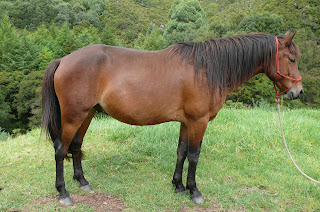 When my mother and I first saw him we were a little bewildered by his condition and a few conformational faults (mostly how downhill he was), but he has changed so much now - his withers and croup are ALMOST level (although he could grow another inch and I would be over the moon) and he has gained weight and his hooves look great - plus he's used to being brushed and ridden now. My mum remarked the other day that at the moment he would be worth a few grand just by his looks, when we got him though, he looked like a $350 horse from the local kill pen. I always wondered whether beauty was in the eye of the beholder, but even my friends have all commented on how beautiful he is now. That picture is my favourite of him (I posted it on my blog somewhere, but I have no clue when and I don't know how to or if I'm allowed to post pictures on here) - all the still shots of him look mediocre and a bit boring, but that photo is adorable. I love your observations. They are so true. It seems that in the act of work horses, dogs, often even people become transformed... by purpose. It is invaluable to have an active body that thereby keeps the mind active as well. Lovely post.